This position will be predominantly based in Jeddah, Saudi Arabia in the head office of our parent company Al Guthmi (the leading retailer of furnishing fabric in the Middle East). 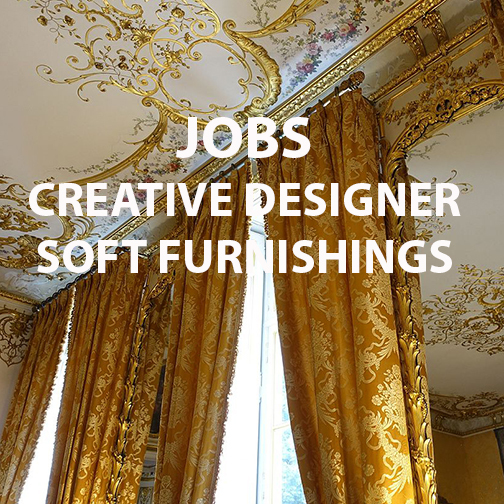 An exciting opportunity for anyone that has experience in interior/textile design or soft furnishings and is seeking a challenge or the chance to travel abroad. We are looking for freelancers with 3+ years relevant experience who enjoy creating fabric schemes to come out on a 12 month contract basis to build fabric collections from new and existing stock. The role may also include trend research, meeting with suppliers and an element of design development therefore hand drawing skills and experience of Photoshop/Illustrator would be a bonus. A creative degree in either textiles, fashion or interiors is required.